You would think that Lebanon would benefit greatly from the falling oil prices , since it import all its needs , but not according to Central Bank Governor Riad Salameh. According to him falling oil prices reduce the remittances Lebanon receives from the Lebanese people who work in the Arabian Gulf countries . Salameh said the bank is introducing measures to prevent a crisis from erupting. “The most notable of economic challenges that Lebanon and the Lebanese Lira will face in 2015 is the decrease in oil prices, which affects the economies of the Gulf,” Salameh said in remarks published Monday. 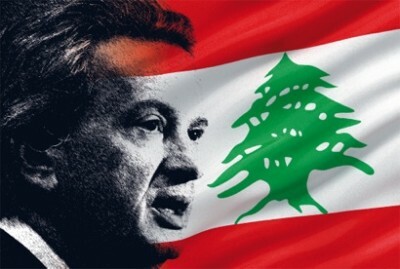 Salameh said the Gulf is the most important source of remittances” for Lebanon, , since 60 percent of the total amount that enters the Lebanese economy comes from Gulf countries. The World Bank in a report last month projected expatriates’ remittance inflows to Lebanon would reach $7.67 billion in 2014, constituting an increase of 1.6 percent from $7.55 billion in 2013. Lebanon would be the 18th largest recipient of remittances globally and the 13th largest recipient among 135 developing economies in 2014, according to the report. Lebanon should rely on sustainable local production to move the economy, and not remittances from expats, Foreign Minister Gebran Bassil said during a trip to Ghana in which he met with the Lebanese community there. Bassil said his country should “reactivate” agriculture and industry by introducing a set of economic policies to create an environment that allows the two sectors to prosper. … largely from relatives … to buy the ones who couldn’t escape food and medicine … the only thing that keeps Lebanon afloat … and since ASSad began his war, the needs have grown greatly with out-of-work Lebanese …. sad that Bassil & SalamehBank.Co. have to admit it’s the only thing they don’t ‘Resist’ all the time. ‘Reactivate Agriculture’?? Have you heard the Health Minister lately about the water going on the fields?? ‘Resist eating’, sounds more logical.